Last week, we marked Internet Freedom Day with protests outside of Google offices in 10 countries. 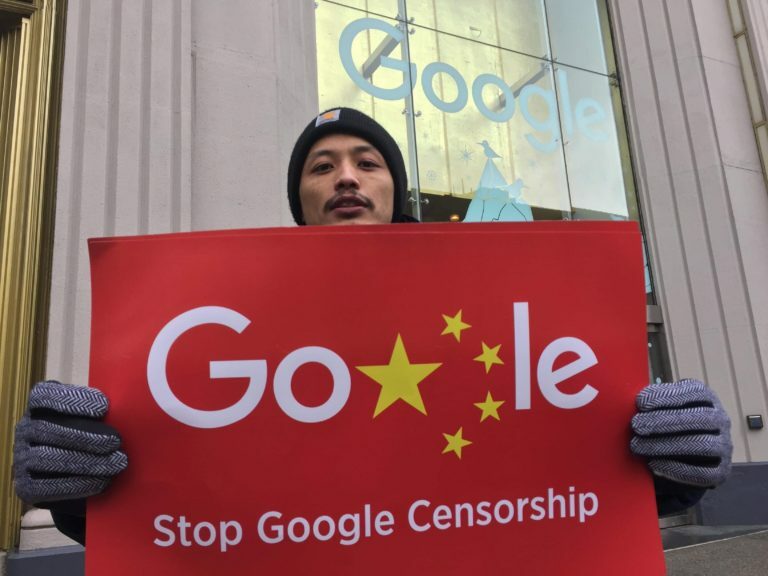 We showed up in force to demand that Google scrap its controversial plans to develop a censored search engine in China, called Project Dragonfly. These actions are made possible by supporters like you. We’re already seeing the impacts of our efforts. In December, Google was pressured into shutting down a data analysis system that inside sources say was integral to the development of Project Dragonfly. But Google CEO Sundar Pichai has not yet officially stated that Google has ceased development of this insidious project. Freedom of expression, online and offline, is virtually non-existent in Tibet. Google’s partnership with China serves to legitimize the censorship and surveillance of Tibetans and other peoples oppressed by China. We can’t let corporations like Google support infrastructures of oppression. Your support has already helped us so much, but we have to keep fighting. Help us end Project Dragonfly for good by making a gift today.